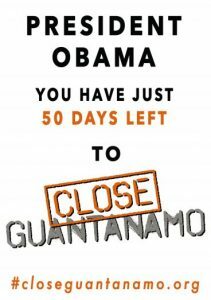 President Obama, close Guantanamo before it’s too late! Almost eight years ago you promised to the world to close the prison camp at Guantanamo Bay within one year. You haven’t kept this, but many other promises, too. Perhaps it comes with the office of the US presidency that incumbents change so rapidly. During your presidency, you have released many prisoners that were all found innocent. Set the remaining prisoners free and take the three or four so-called high-security detainees to the military detention center at Fort Leavenworth, Kansas. where the innocent Chelsea Manning is serving a 35-year prison term. Manning did a great job to the US by exposing to the world the wickedness of parts of the American military. These very few so-called terrorists should stand trial before a regular court in which they can defend themselves. The so-called confessions at Guantanamo came all under torture. The established kangaroo courts at Guantanamo stand for a travesty of justice. Is this the American way? Nothing is as bad as it looks. One can only hope that this saying applies also to President-elect Donald Trump. But it makes one shiver reading his so-called campaign promises concerning Guantanamo and the treatment of Muslims in the US and elsewhere: As a presidential candidate, he vowed to refill the cells of the Guantánamo Bay prison and said American terrorism suspects should be sent there for military prosecution. He further called for targeting mosques for surveillance, escalating airstrikes aimed at terrorists and taking out their civilian family members, and bringing back waterboarding and a „hell of a lot worse“. He really thinks that „torture works“ would work, even if it doesn’t work, „they deserve it anyway.“ Hopefully, as US President he doesn’t stick to his guns. And where will Trump load Guantanamo up with so-called „bad dudes“? President Obama, please opt for the lesser evil and set all the prisoners free, pardon Chelsea Manning and Edward Snowdon and let Julian Assange go his own way. Dieser Beitrag wurde unter US-Aussenpolitik abgelegt am November 30, 2016 von Ludwig Watzal. hast Du etwa in den heiligen Hainen im heiligen Land gezündelt?